When it comes to your Online Gaming experience, your internet connection will either be your saving grace, or the bane of your existence. But, internet speeds aren’t just the only factor that will have an impact on your gaming experience. Slow Internet Speeds Leaving You Rekt? When it comes to your Online Gaming experience, your internet connection will either be your saving grace, or the bane of your existence. But, internet speeds aren’t just the only factor that will have an impact on your gaming experience. The ping rate (aka, lag) is also an important factor that could have a negative impact on your gaming. Whether you’re a PC or console gamer, there are some minimum speed requirements that should give you an optimal online gaming experience. As long as your internet plan has a download speed of at least 3 Mbps, and upload speed of 1 Mbps, and a ping rate that’s under 150 milliseconds (MS), you should be covered for most online games. Download speeds are important to online gaming, especially when it comes to moving data. If your download speed is lower than the recommended speed, in-game textures might load slowly, and the game may not perform as well as it should. Latency, often referred to as ‘lag’ or ‘ping’ is the biggest factor in whether your online gaming experience will be good or not. Latency refers to the delay between the action in the game and its display on the screen. Bad latency can make multiplayer games almost unplayable, this can lead to many frustrations at the very least, and maybe some broken controllers at the very worst. If you’re playing against players with lower latency, you’ll notice that they somehow always get their shots off first, even though you shot before them. Latency is the bane of every online gamer’s existence and for fast-paced fighting games or shooters, you’ll want as little of lag as possible. You can take these small steps to help improve your connection overall and help give yourself a little edge when online gaming. Use a wired connection: Use an ethernet cord to connect your game system directly to the router. This isn’t as convenient as wi-fi connections, but wired connections will give you faster speeds. Close out apps that use a lot of bandwidth: Some apps and computer programs use a ton of bandwidth such as streaming, and messaging apps. Closing them out will ease the amount of bandwidth that you use when gaming and dedicate most of the data to getting a better K-D ratio. Disconnect other devices that may be connected to your internet: If you’re playing through wi-fi, disconnect your phone or laptop from your wi-fi router. Having multiple devices connected to your router may be adding additional latency to your gaming experience. Twitch has taken over the online gaming world, and it’s seamless integration into popular games like Fortnite has helped increase Twitch’s popularity. Twitch allows online gamers to livestream their gaming sessions for fans and spectators to watch. For those looking to stream their online gaming sessions, you’ll need a much higher internet speed to handle the additional workload. Wired connections are a necessity for gamers looking to livestream their games. You’ll also need a minimum upload speed of around 4 Mbps to get a 720p HD stream. Internet speeds and latency can all negatively affect your online gaming experience or they can give you a competitive edge. 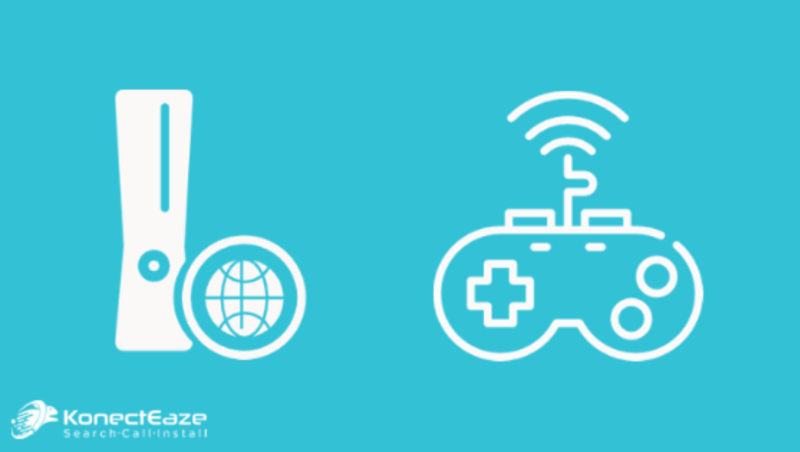 If you’re looking for an internet package that will take your gaming experience to the next level, search available plans in your zip code today and check out our recommended plans for gaming!